Pest maintenance is critical to hotels and the hospitality industry. 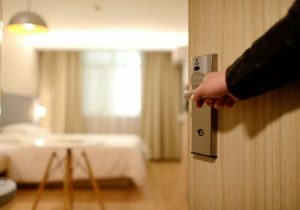 The impact of pest infestation, improper sanitation, and unhappy guests among hotels can be devastating to the business, staff, and its brand – which can result to ultimate business failure. Thus, we at Trusted Pest Management strive to be a trustworthy partner of hotels and the hospitality industry through providing highly effective hotel pest control services. Pests can be a huge nuisance more than just by having cobwebs on the ceiling but in the form of food contamination, electrical and furniture damages, and health problems. That is why appropriate hospitality pest prevention must be carried out in any hotel sector to ensure they’re safe and clean for guests to stay in. There can be a lot of pests attracted to invade any hotel premises including roaches, rodents, flies, mosquitoes, and other product insects. These insects are all notable for carrying diseases and viruses and are highly capable of damaging valuable possessions within the area at any unexpected time. Fortunately, our experts exactly know the most appropriate and safest hotel pests control solutions towards keeping your business pest-free all year long. 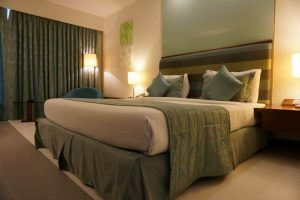 Trusted has many years of experience in treating pest infestation in different well-reputed hotels across Sydney and Brisbane. Our experts are trained of the exact ways to prevent and treat pest infestations based on findings we gathered from inspecting pest-infested areas. We strictly implement a knowledge-based and green approach as we perform our hospitality pest management programs to all our clients. We use only the highly recommended tools and products to trap and deter pests and remove them carefully from your premises. Following Integrated Pest Control (IPC) and Environmental Pest Management (EPM) practices, you can be sure our hotel pest control services are fully safe for your guests, staff, pets, and the environment. As part of our hotel pest protection program, we also perform hospitality pest prevention and pest treatment in cases of active pest infestation in your premises. Hand in hand, we work together towards creating a positive impact on your business through keeping your area 100% pest-free for all your guests and staff. Never put your business in the breach of negative customer reviews, have your area inspected as soon as possible. Call us for a free hospitality pest inspection today!